Earlier today, I passed by the St. James Theatre on my way to a lunch meeting. Glory be, there was the incomparable Kate Baldwin on a break outside the stagedoor from rehearsing for Finian's Rainbow! 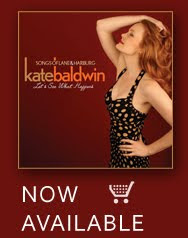 Kate's first solo album, Let's See What Happens, is available today at PS Classics. But the luck of the Irish was with me as she presented me with an advance copy. This is a cd to have. I've been listening to it all afternoon. 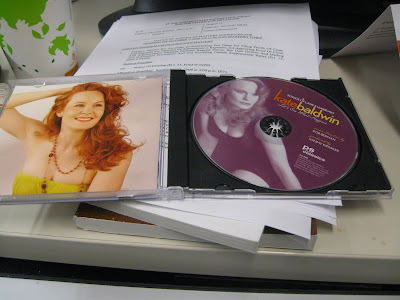 It's Kate's gorgeous voice rendering the songs of Burton Lane and Yip Harburg. Broadway standards don't get any better than these. This Thursday, I'll see Kate in the first preview of Finian's Rainbow. On October 21st, Kate will take part in Seth's SIRIUS XM Live On Broadway Show in Times Square Visitor Center. On October 22nd, Kate will appear at the Lincoln Square Barnes & Noble. She'll perform songs, accompanied by Rob Berman, Kate will sing songs from her new recording "Let's See What Happens" at Barnes & Noble near Lincoln Center. The performance begins at 5pm and CD signings will follow.